This year’s annual meeting—themed “Anchored in Culture, Ingenuity, and Pride”—is slated for Long Beach, Calif., July 21–24. Located at the Long Beach Convention Center, the conference will bring together the forces of strong traditions and innovation to inspire imagination and professional growth. Attendees will be able to choose from a variety of educational learning experiences that include thought-provoking general session speakers; engaging and interactive concurrent sessions; and opportunities to network, connect, and share. As NACUBO continues its work to motivate business officers to use creativity to inspire change and support institutional goals, this year’s main stage speakers will share how creativity and innovation inspired their careers, and what business officers can do to build relationships, encourage partnerships, and become agents of change in higher education. 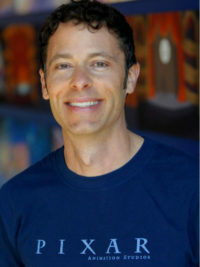 On Sunday, July 22, attendees will hear from Matthew Luhn, one of the original story creators at Pixar Animation Studios, who has more than 20 years of experience working on films, TV shows, and video games. Luhn, who helped build the creative culture at Pixar, will share stories about how to connect communities with customers. He will emphasize the importance of cultivating a culture that encourages creativity and nurtures new ideas, while embracing fear and failing as necessary parts of the process. Luhn will empower attendees to take their own stories from idea to script to finished product. 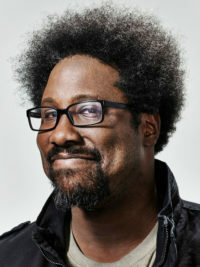 Addressing the conference on Monday, July 23, is W. Kamau Bell, a comedian, political satirist, and host of CNN’s docuseries “United Shades of America.” As host of the CNN program, Bell travels the country offering viewers a rare yet eye-opening look inside the various subcultures of American life. Bell will provide attendees with a hopeful understanding of this country’s challenges, and give takeaways on humanity and social change. On Tuesday, July 24, Jane Fonda—actress and author—will close out the annual meeting at the final main stage. A frequent speaker on youth development, women’s issues, and embracing the longevity revolution, Fonda has published her memoir, titled My Life So Far (Random House, 2005), a New York Times bestseller. Since then, she’s published Prime Time (Random House, 2011), a comprehensive guide to living life to the fullest, particularly beyond middle age; and Being a Teen (Random House, 2014), an all-encompassing guide to adolescence. Fonda’s work outside of acting and writing focuses heavily on activism and social change. She is the founder of the Georgia Campaign for Adolescent Power and Potential, as well as the Jane Fonda Center for Adolescent Reproductive Health at Emory University School of Medicine. She also serves on the boards for Women and Foreign Policy at the Council on Foreign Relations; the Women’s Media Center, which she co-founded in 2004; and V-Day, a global activist movement to end violence against women and girls. For more information about the annual meeting and to register, visit www.nacuboannualmeeting.org. Early discount rates will increase after March 31. NACUBO’s distance learning programs offer members ongoing learning opportunities, with many recordings remaining available for up to one year after their original air date. The following on-demand webcasts are currently available. Mergers and higher education. Using the successful merger of two institutions—Boston Conservatory and Berklee College of Music, Boston—as a case study, the webcast, Leadership Lessons From the Merger Front, provided guidance on applying best practices to the planning and execution phases of an institutional merger. Listeners heard about the importance of developing financial plans and governance structures that align with the strategic and financial objectives of the merger. Speakers also shared their perspectives on lessons learned and the complications they conquered. Tackling deferred maintenance. One of the most daunting challenges that a chief business officer will face is often a huge and growing deferred maintenance backlog. In the webcast, Deferred Maintenance: Strategic Approaches to Success, officials from the University of Arizona, Tucson; and the University of Maryland, Baltimore, presented options that they have pursued in optimizing building efficiencies that can improve areas such as operating costs, student satisfaction, and personnel retention. Keeping up with accounting standards. The webcast, Implementing the New Financial Reporting Model (ASU 2016–14), covered the impact of the new Accounting Standards Update (ASU), Not-for-Profit Entities (Topic 958): Presentation of Financial Statements of Not-for-Profit Entities. Experts from Crowe Horwath, the Financial Accounting Standards Board, and NACUBO provided a summary of the new standards, various ways the changes will be reflected in your institution’s financial statements, and the steps you should take to prepare for implementing these new requirements. To view these recordings and others, visit www.nacubo.org and click the “Distance Learning” tab. Advance the conversation and gain visibility for the work that you’re doing by submitting a proposal to present content to the NACUBO audience. We are seeking compelling presentations that offer in-depth and practical treatment of current issues facing colleges and universities at the 2018 Planning and Budgeting Forum, taking place September 23–25 in Louisville, Ky.
We invite you to propose a sessionthat is relevant, innovative, and useful. Share your approach, knowledge, and experience, focusing on strategies and tactics that will resonate with a higher education audience. Take advantage of this important opportunity to advance the conversation, network with administrative colleagues, and highlight best practices. For more details, including topics of particular interest and submission guidelines, visit www.nacubo.org and click “Submit Content,” under the “About NACUBO” tab. Identify and encourage individual and institutional excellence in college and university business and financial management. Encourage and promote active participation in NACUBO’s programs and services. Identify individual and institutional role models, and contribute toward a positive perception of the business officer profession. Distinguished Business Officer Award. This honor recognizes individuals who have shown outstanding achievement and extraordinary service to NACUBO and higher education. Service to NACUBO Award. 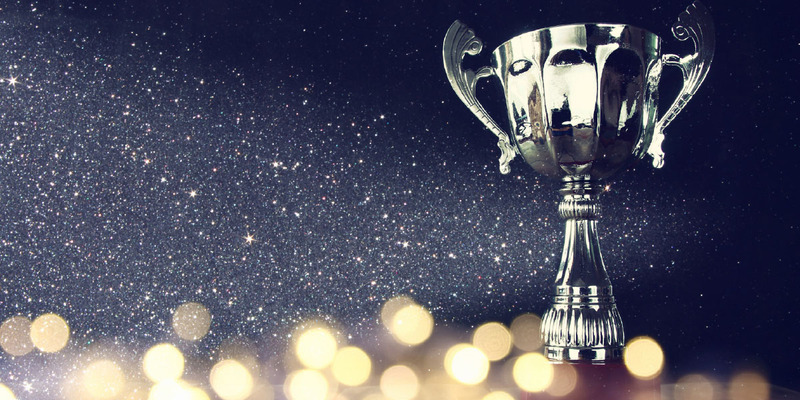 Formerly the Professional Development Award, the Service Award will recognize individuals who have contributed to NACUBO’s professional development activities and publications. Excellence in Sustainability Award. A new iteration of what was previously the Innovation Award, the Sustainability Award will honor institutions that have demonstrated excellence and innovation in a full range of sustainability leadership areas. NACUBO Board Chair’s Award. A new category, this award will recognize outstanding and transformative institutional initiatives that demonstrate business office excellence in higher education. Individual and institutional winners will be honored among their peers at an awards ceremony to take place during the NACUBO 2018 Annual Meeting in Long Beach, Calif. For information about the awards criteria and to submit a nomination, visit www.nacubo.org and click on “NACUBO Awards” under the “Membership and Community” tab. Nominations will close on March 9. The University of Texas System has developed a dynamic tool that “predicts” student enrollment by using admissions, demographic, and financial aid data. The result: optimizing return on investment and potentially increasing net tuition revenue through increasing retention rates. Attendees of the March 7 webcast, Analytics to Predict Student Enrollment, Retention and Success, will learn how this statistically based, predictive analytics model predicts matriculation, maximizes return on financial aid resources, and increases retention. Later in the month, March 22,attendees of the webcast Cybersecurity: A Primer for Higher Education Leadership, will hear from experts at Grant Thornton and Long Island University, N.Y., who will inform attendees on various methods to tackle the seemingly insurmountable task of actively identifying and managing their cybersecurity risks. Considering the recent rise of high-profile data breaches, cyberthreats, and related vulnerabilities across many industries, cybersecurity has become increasingly important to the operations, reputation, and even the very mission of higher education institutions. Attendees will explore the National Institute of Standards and Technology framework and learn how it can be used to assess current capabilities, and to develop a road map toward improved cybersecurity practices. To register for these upcoming webcasts, visit www.nacubo.org and click the “Distance Learning” tab.